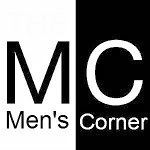 Men's Corner: Nights out with the lads is good for men's health! Nights out with the lads is good for men's health! The most recent study from the University of Gottingen argues that for men's health is extremely important that from time to time go out with his men's team! In fact, the results indicate that the stress levels in men decreases, more so if he go out in the company of men. Women and girls - sorry - but why should we ever questioned the research conducted by the Germans? The study found that men during a night out with women secrete higher amounts of stress hormones than when they go to a beer with bros! We do not want to go into the methodology of this study, mostly because no way we would like to undermine the foundations of what now can be quite valid argument with better half of that staying up late with team is preferred - and most importantly - good for our health. Cheers!